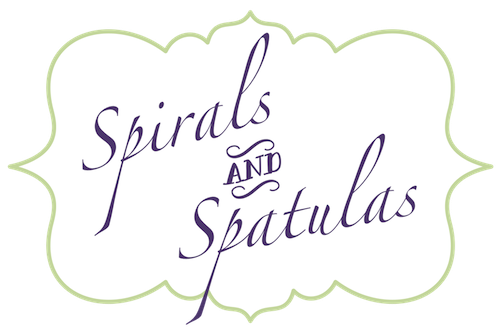 Spirals & Spatulas: Food, Glorious Food! 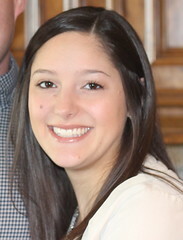 There are certain things about wedding planning that are just plain awesome. Like cake tastings...you tell them you're a bride and they just give you free cake. For FREE. I like to joke that every wedding involves some variation of "wedding chicken." "Wedding chicken" is a bland, dry, mass-produced chicken dish that isn't anything to write home about. However, I think I'm slowly changing my opinion on the issue...last weekend Jeff and I went to a wedding with a really yummy chicken curry dish (so NOT wedding chicken! ), and at our wedding we'll be serving that first entree, Chicken Raveneaux, which in my opinion tastes wonderful! The chicken marsala we tried definitely fell into the "wedding chicken" category, and the Chicken Piccata, while good, just wasn't as great as the Chicken Raveneaux. My parents agreed with Jeff and I, and it was an easy choice. As for veggies, we had to pick between asparagus and green beans. I don't like asparagus AT ALL, but my mom and Jeff thought it was really, really good. We ended up going with the green beans because we figured they'd be more accepted by everyone (you know, some people just don't like asparagus...but EVERYONE likes green beans!). Next up was mashed vs. new potatoes. The new potatoes were really good. We all loved them. The mashed potatoes were pretty good too, but not as good as the cute little baby red potatoes. Easy choice. Another thing crossed off the to-do list! Keep your fingers crossed that my yummy chicken Raveneaux doesn't turn into "wedding chicken" when it's prepared for 200 guests at a time!